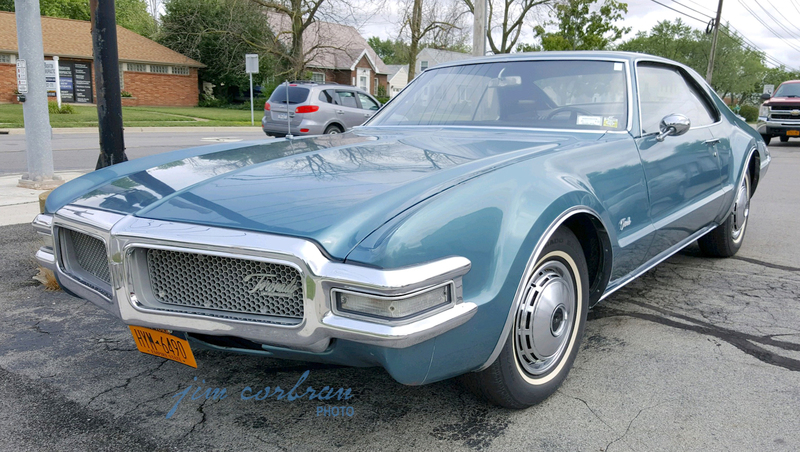 Ran into this nice 1968 Oldsmobile Toronado over the weekend in Tonawanda (figuratively, not literally, lol). 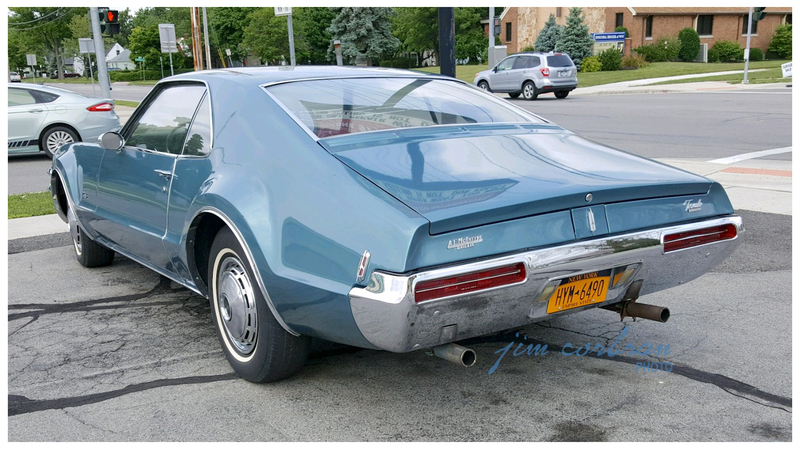 It’s really rare these days to see a first-gen Toronado out and about. This design was a mild restyle of the original ’66 model, which was the first modern-day mass-produced American front-wheel-drive car. It would get a total makeover for model year 1971 — longer, lower, and wider in the Great American Tradition. This one’s wearing a dealer badge from A.C. McIntyre Motors in Orillia, Ontario — our second native Canadian Oldsmobile RealRide in the past few weeks.